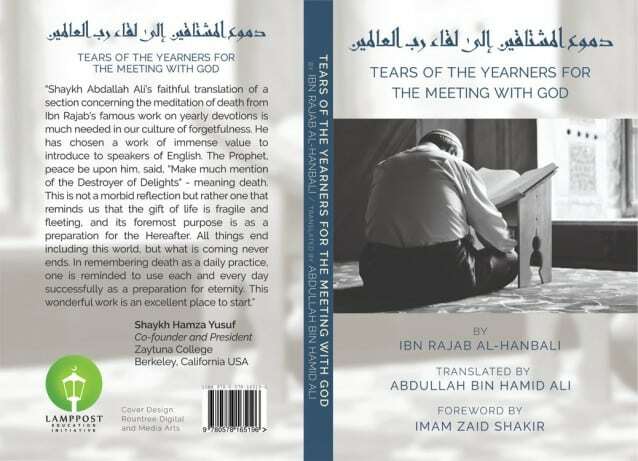 This booklet is a translation of one chapter from Imam Ibn Rajab al-Hanbali’s book Lata’if al – Ma’arif fi ma li Mawasim al – ‘Am min al – Waza’if (Subtle Realizations of the Spiritual Protocols of the Seasons). It is the chapter entitled, “Khitam al-‘Am” (The Year’s End), wherein the author speaks about the best way to end one’s year of worship. The chapter focuses on the question of the preparation for death and whether or not it is lawful to wish for death; if lawful, under what conditions can a Muslim wish for death and when must he/she not? Tears of the Yearners . The reason for the title is that throughout the chapter, Ibn Rajab showcases many luminaries who cried while on their deathbeds out of a yearning and readiness to meet God. Reports of this nature throughout the chapter were so numerous that one could not ignore them. Rather, one is even made to feel that crying at the time of one’s death out of longing to meet God is a tradition of the sages and something towards which any dying person should aspire, if this state does not come to one naturally. ‘Abd Al-Rahman b. Ahmad b. ‘Abd Al-Rahman, known by most as Ibn Rajab al-Hanbali, was a Muslim scholar born in Baghdad, Iraq in the year 736 AH/1335 CE and a popular exponent of the legal school of Imam Ahmad b. Hanbal. His father was known as Rajab al-Salami, and from this he acquired the byname, Ibn Rajab. At the age of eight, he relocated from Baghdad to Damascus with his father, and this is where he began his study of the Islamic disciplines. In Damascus, he studied the variant Qur’anic modes of recitation and amassed great knowledge from the Damascene scholars. He would eventually travel in search of greater knowledge to Mecca, Egypt, and other regions. Ibn Rajab excelled in the study of hadith and became recognized as the greatest hadith master of his time. He was also an extremely effective sermonizer and lecturer who touched the hearts of his listeners through his wisdom and charisma. What adds to his greatness is that he was also loved by people of diverse ideological orientations. His writings reveal a wide range of expertise covering subjects like economics, law, legal maxims, hagiography, history, ethics, spirituality, exegesis, and most importantly, hadith science. His biographers unanimously agree upon his piety, scrupulousness, exemplary behavior, charisma, wisdom, and mastery of the prophetic tradition. He died on the 14th day of the month of Ramadan in the year 795 AH/1392 CE and is buried in the Bab al-Saghir cemetery in Damascus. Zaid Shakir is co-founder and senior faculty member of Zaytuna College and also serves on its Board of Trustees. In 1983, while at Rutgers University, New Brunswick, NJ, he cofounded the New Brunswick Islamic Center formerly Masjid al-Huda. In 1987, he settled in New Haven, CT., and continued his community activism co-founding Masjid Al-Islam. Zaid Shakir moved to Hayward, California to serve as a scholar-in-residence and lecturer at Zaytuna Institute in 2003. 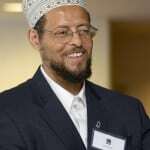 He co-founded the Lighthouse Mosque, Oakland, CA in 2007. He co-founded Zaytuna College in 2009, where he now teaches Islamic law and history. Zaid Shakir is one of the signatories of “A Common Word Between Us and You,” an open letter by Islamic scholars to Christian leaders, calling for peace and understanding. Known to the world as Imam Zaid, he has authored numerous articles on a wide range of topics, becoming a voice of conscience for American Muslims and non-Muslims alike. Recently, he was ranked as “one of the western world’s most influential Scholars, The 500 Most Influential Muslims , edited by John Esposito and Ibrahim Kalin, (2009).